"Local regulations protecting trees on residential properties would be nullified for the three months preceding the start of hurricane season — allowing property owners to trim and remove trees without a permit — under legislation that advanced Monday in the Florida Senate." In other words, it's a free for all when it comes to tree removal. A dream come true for developers who feel they are being inhibited when it comes to construction. 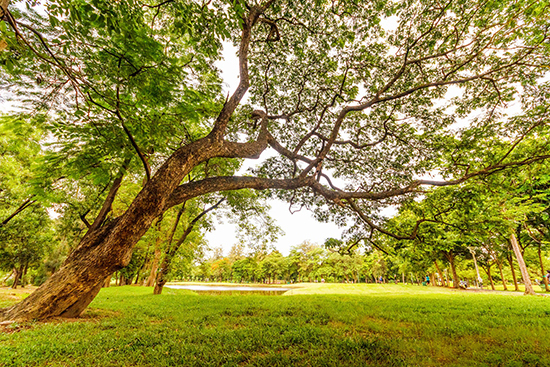 The legislation (SB 1400) preempts local government tree ordinances between March 1 and June 1, which is recognized as the official start of hurricane season. But what if a hurricane comes in October, does the homeowner have the right to cut everything down before the storm approaches then? The idea is to prevent fallen trees which block traffic after a storm and also disrupt electricity. Such a less than smart and reckless idea. How about a bill that forces FPL to bury the lines instead of destroying trees? That would be a big help. Here is the whole article in the Daily Commercial. Republican Sen. Ben Albritton of Wauchula sponsored the bill who is in citrus business with his brother. How ironic? IRONIC anon 7:12? Dip Stick - A man who grows citrus trees is far more qualified than you to create a Rule regarding trees THINK! # 1., nothing changed by this proposed law, nothing related to a tree(s). Property owners are being put on alert to protect their neighbors, community & infrastructure (electrical) prior to hurricane season. Cut away rot and trim to let the wind through and if you don't you will pay for any damage YOUR PROPERTY causes. Cabbage palm, Sabal palm, Palmetto Saw and bamboo are the most wind resistant plants. Sabal palm and Palmetto Saw have shown to reduce 100 MPH to 40 MPH if planted in the right configuration. Does the legislation consider natural windbreak and require replanting with protective planting to preserve canopy and prevent deforestation of urban forests? That calls for new legislation to remove buildings too close to vegetation. OMG! If they get wind of this in Miami and Coconut Grove be prepared for another disastrous event like the Mel Reese Golf Course takeover, Ultra, etc. Developers will take more advantage than they're already taking with removing trees and overdeveloping, all courtesy of our "esteemed" commissioners and mayor. What a joke this town is becoming.